Currently Operations Manager, Beer Cider Buyer for Euroboozer. My previously Operations and Buyer for Borough Wines and in charge of our Brewery Below nano brewery in our disused bank vault on the Essex Road in Islington. Prior to that I worked in pubs for over half of my life. My passion for food and drink came from working in this vibrant industry. 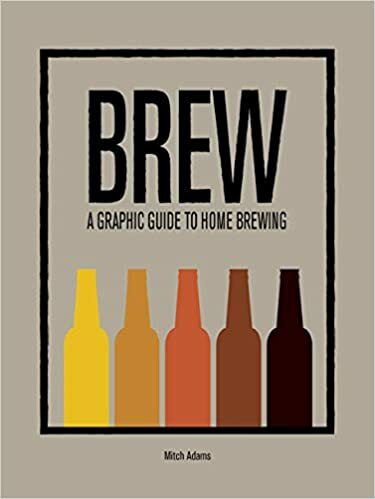 I recently wrote a graphic book about beer and brewing BREW for Ammonite Press. I write mainly about beer, cider, food and drink pairing both here on my blog and for trade publications. I have judged at the The Beer Marketing Awards, World Beer Awards & The International Beer Challenge, The International Cider Challenge and am a member of the British Guild of Beer Writers. In 2017 I was asked to help curate Pub17’s Beer Writers Bar and to be Imbibe Live’s Beer Ambassador. I have hosted many food and drink pairing evenings including Beer vs Wine and Cider vs Wine at The Thatchers Arms Mount Bures and The Bull Highgate. I have also helped pair the beers for The British Guild of Beer Writers awards dinners since 2012 as well as hosting the first Beer & Food Matching evening for Galvin Restaurants Cafe a Vin.